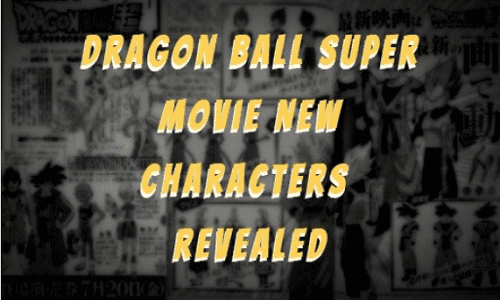 Dragon Ball Super will have its official first movie on December 14 of this year. As such new details are dropping of the movie. We waited for a short while before this new info came about. Dragon Ball Super Movie New Characters Revealed. 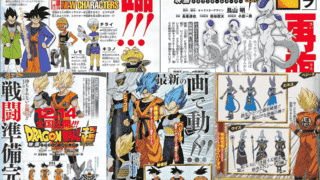 Pamphlet reveals new Characters which appear to be from Frieza Force. While Goku and Vegeta sport a minor new clothing change. While Frieza looks cleaner and sharper thanks to Shintani's design. But The Golden form hasn't been revealed. It might appear in the movie. Base, Super Saiyan and Super Saiyan Blue version of Goku and Vegeta have been revealed. As well as Piccolo's design. Also, releases are U7 God of Destruction, Beerus, and his attendant and Master, Whis.The characters designs are pretty sharp and clean. Goku and Vegeta are sporting a new Jacket over their iconic clothing. And Beerus and Whis look like how they usually are. Chelye [Chirai]:- The only Female member among the new characters. She wears a scouter and has a blaster. Kikono:- He wears a somewhat similar looking attire to Sorbet from "Ressurection F". However, he doesn't seem like a fighter of any sorts. Lemo:- He is also sporting a scouter and a blaster like Chelye. He appears to be her comrade. We know that Goku will be fighting a mysterious fighter based on the trailer released a while back. We can now be certain that Vegeta will also be fighting him. Based on the fact that Both Goku and Vegeta, both are wearing their jackets, Meaning that both will be in the cold plane where the battle takes place. And seeing as how Vegeta loves to fight first, he will definitely not stand in the sidelines. The movie release date is December 14, 2018. And Super Dragon Ball Heroes anime is set to premiere on July 1, 2018. Probably the best time to be a dragon ball fan. So I am gladly looking forward to the Movie coming out in December. Be sure to check out my other reviews. You can also subscribe to My YouTube Channel for Awesome Dragon Ball Videos. I will be postings updates regarding the future of the series regularly. Till next, See ya!! !